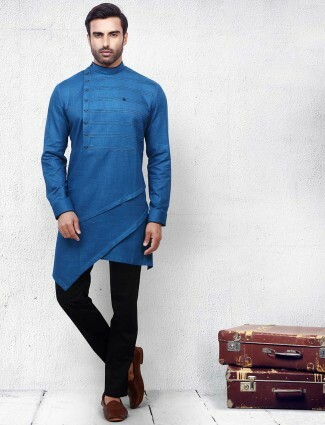 Kurta suits have been the most subtle style every men would carry for an Indian look. 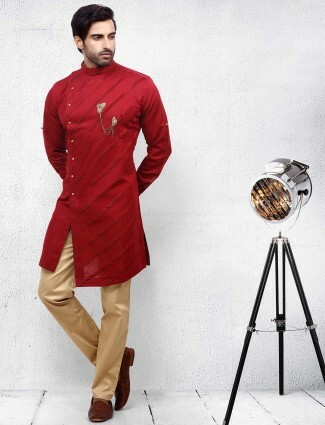 Styles in kurta suits for mens fashion vary from fabrics, pattern concepts to embellishments and detailed look. 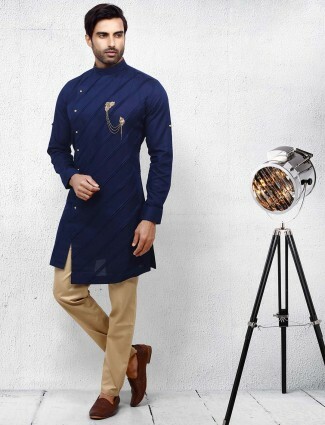 Online shopping for mens kurta suits at g3fashion ensures you to get your perfect style of kurtas which will meet your own taste of needs. 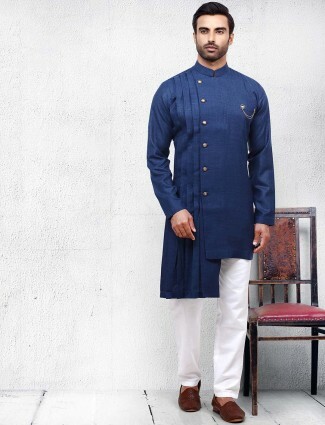 Shop Kurta pajama for men for wedding wear, Indian festivals or party wear, for all ages and different sizes from S to XXL and more bigger sizes which are now found on our website. 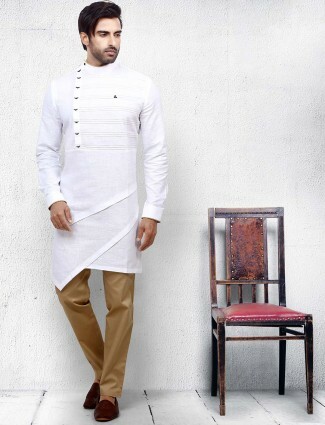 G3 Fashion also serves their customers to give them extra value of kurta suits in terms of alterations, customisation or custom orders for you. 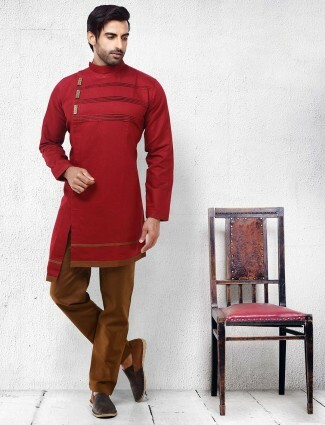 So now get latest kurta designs for men in low prices and premium range of designer kurta suits patterns. 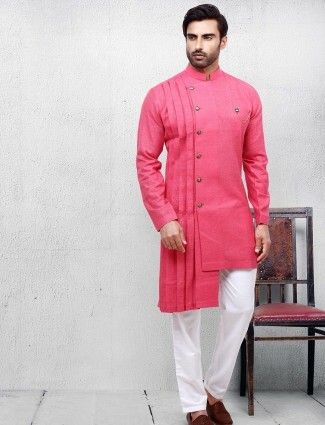 The best option to feel comfortable in Indian wear for men would be choosing kurta suits even at wedding ceremonies. Our collection bring the latest wedding kurta pajama designs to choose in terms of fabric, colors, patterns and from trending prints, embroideries to a indo western kurta suit look. 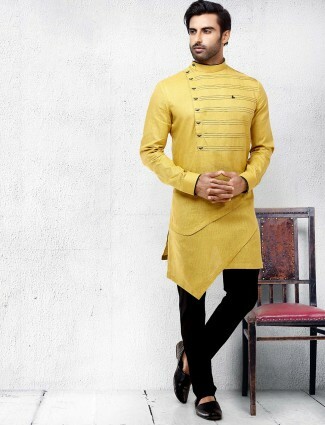 Get yourselves the Best online kurta pajama designs for men to wear as wedding guest, groomsmens or kurta suits for grooms. 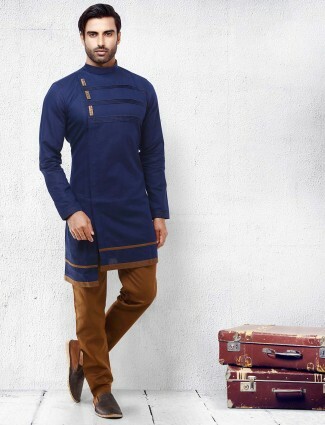 We all know how the mens kurta pajama is a saviours for grooms to look dapper in Indian wear for his Sangeet, Mehendi or Haldi Ceremony. Our stunning range of mens wedding kurtas bring a variety from plain and solid kurtas with different opening patterns or hemline cuts to the quirky wedding printed kurta designs. 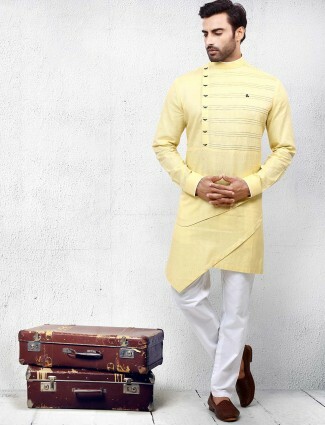 Choose from silk kurta suits collection in comfortable blends and embroidered kurta suits for men. 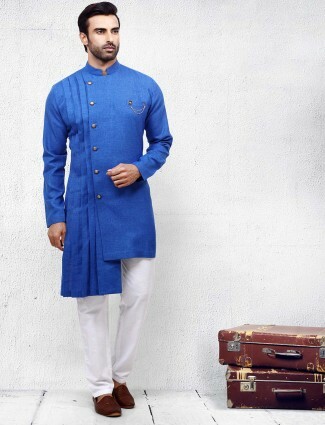 Also try the kurta pajama with nehru jacket which are the top styles. These come in three piece set of kurta, bottom and waistcoat which is a nehru jacket. 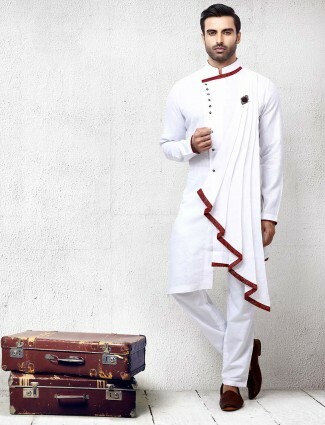 It’s a Indo fusion kurta suit look but adds that extra oomph to the wedding look to any men’s outfit. Waistcoat and kurta pajama trends are also a favourite with Bollywood celebrities. 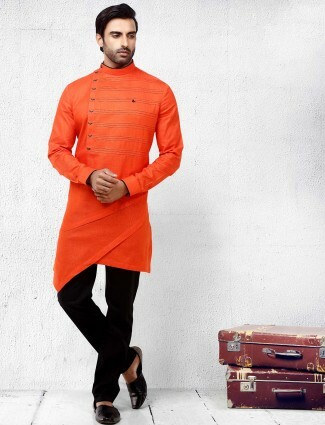 Find similar styles of Celebrity Kurta pajama at g3fashion.com. 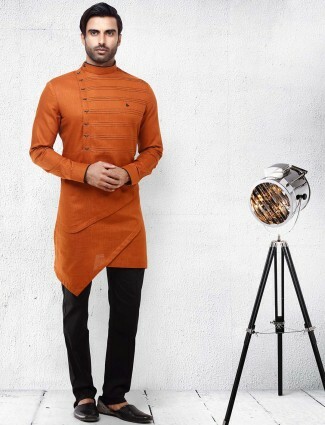 Shop for Ranveer Singh Plain Kurta and Nehru Jacket Styles in Brocade silk or opt for a dashing look of Kurta in cowl drape with nehru jacket. Celebrities like Saif Ali Khan is seen in kurta pajamas in short kurtas with Pajama or Jodhpuri pants and teamed up a nehru jacket to keep it all classic. 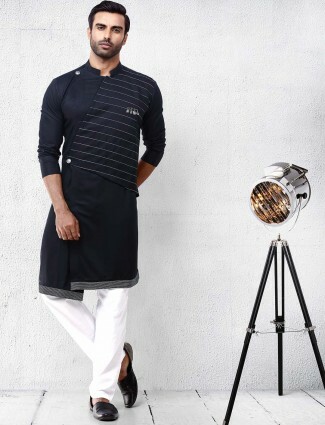 You can more kurta pajama style for man in cotton, linen, cotton silk, silks and other blends by shopping online on our website G3 Fashion. 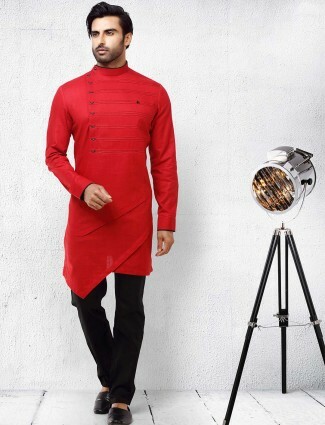 Attending festive parties or any wedding party for guests or groomsmen, and need to look extra special, then come logon to our website to find latest kurta pajama party wear collection. 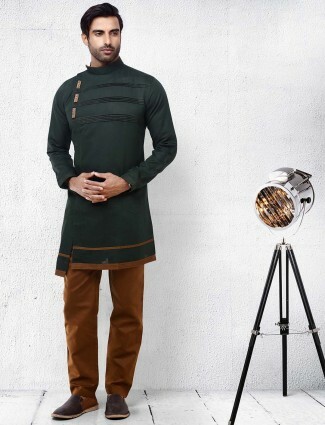 Styles of Cut kurta hemline collection to overlapping kurta opening trends and asymmetric hemline kurta suits for men can be found as per your choice of color. 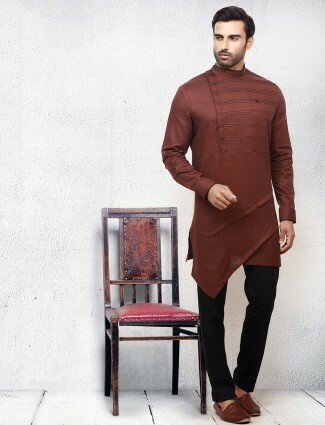 Go for short kurta styles in pleats and high low hemline to pair with pants or get a kurta with printed in shoulder yoke line to get a different designer wear look. Style up latest styles in embroideries at pockets, or collar neck or just one side on chest side to get a dominating designer kurta pattern look. 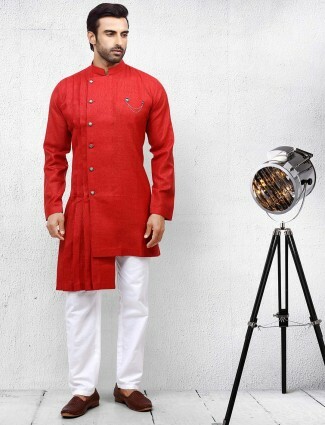 Designer kurta pajama for mens online shopping is soughted with G3fashion. 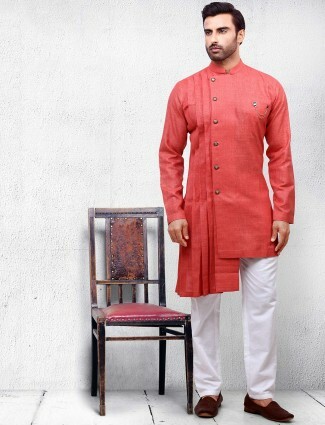 Choose thread work kurtas or silk kurta suits for a more ethnic look. 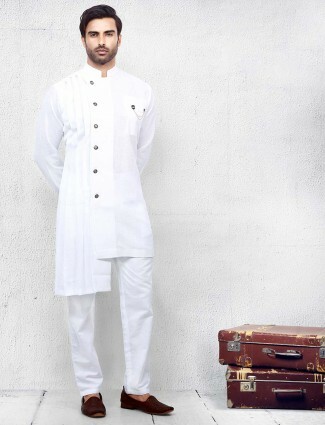 Go all solid in Cotton kurta suits or linen kurta pajama with designer cuts of placket details or hemline details. 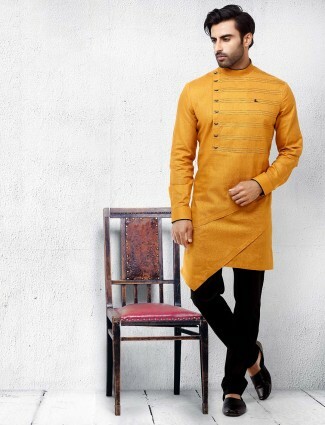 Shopping for mens kurtas for Diwali, Pujas or Raksha bandhan occasions can be done on our website easily which will save time and get you your product on time for your festival time. We also deliver worldwide to serve all to shop for mens indian fashion. Get your Kurta Pajama in all prices which are from low range of plains and solids to heavy kurta suit designs for occasional dressings. 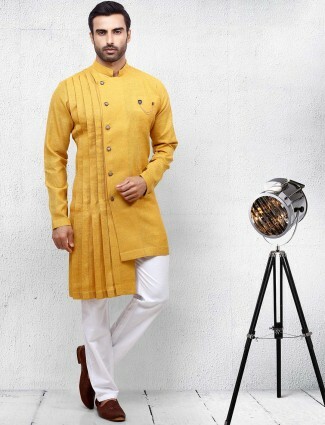 We are your best online place to invest in Kurta suits due to the variety and quality we hold. 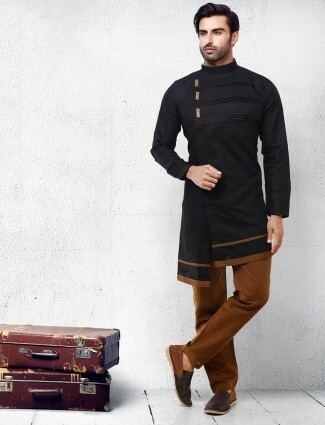 So it’s always a good thing to invest in any style of kurta designs for mens wear collection, and you can find lots at G3+Fashion.